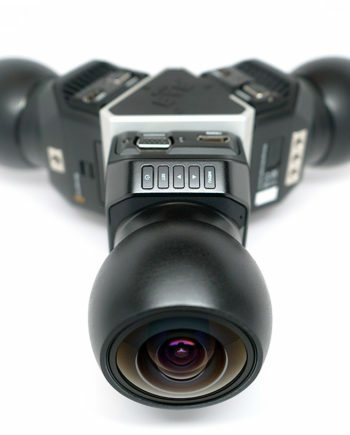 Mini EYE™ is our range of bespoke smaller VR rigs built around the Blackmagic micro cameras, ranging from 3 to 10 cameras per rig, which we are supplying to leading VR cinematographers, broadcasters, internet companies and production companies. Our most popular versions are our Mini EYE™ 3 and Mini EYE™ 4. Prices range from $13,000-$55,000 for a full rig package, including cameras, lenses, recorders, flight case, and accessories, depending on specifications. Through our website we currently offer our popular 3 camera Mini EYE™ 3, designed primarily for live 360 and event use, as well as our popular Mini EYE 4™, designed for more cinematic use, or where heavy post production is anticipated. All Mini EYE cameras are hand made to order. For more on our custom rigs capabilities see this page. Is shooting in tight spaces required? Your current experience with stitching and post production of 360 video. Your preferred stitching software if known. Is live 360 streaming capability a significant factor, or would it be occasional/nice-to-have only? Do you want something more cinematic style (you have sufficient time for setup and prefer manual controls), more studio or event style (e.g. broadcast and live use), or something more run n’ gun / single button / virtual news gathering (VNG) use? Please note there is much that is not on our website! We have been very busy lately building rigs for customers. Please get in touch for the very latest info.